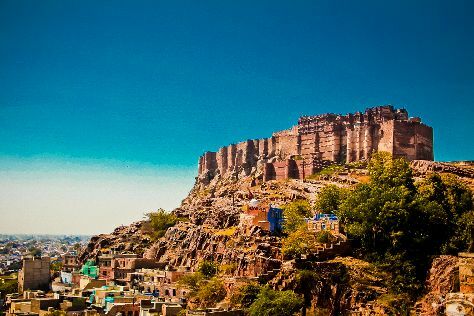 On the 23rd (Sun), steep yourself in history at Mehrangarh Fort and then kick your exploration up a notch at some of the top local zipline courses and adventure parks. To see other places to visit, photos, where to stay, and other tourist information, read our Jodhpur online day trip planner . New Delhi to Jodhpur is an approximately 3-hour flight. You can also drive; or take a train. While traveling from New Delhi, expect somewhat warmer days and about the same nights in Jodhpur, ranging from highs of 32°C to lows of 12°C. Finish up your sightseeing early on the 23rd (Sun) so you can travel to Sawai Madhopur. On the 24th (Mon), explore the wealth of natural beauty at Ranthambore National Park. To find maps, more things to do, other places to visit, and other tourist information, refer to the Sawai Madhopur trip itinerary site . Do a combination of flight and train from Jodhpur to Sawai Madhopur in 4.5 hours. Alternatively, you can drive; or take a train. Finish your sightseeing early on the 24th (Mon) to allow enough time to take a train to Jaipur. Satisfy your inner culture vulture at Rusirani Village and Jantar Mantar - Jaipur. Step out of the city life by going to EleSafari and Elefriend. There's still lots to do: admire the landmark architecture of Amber Palace, glide through the air with a parasailing or paragliding tour, make a trip to Hawa Mahal - Palace of Wind, and look for all kinds of wild species at Ele Jaipur. To see more things to do, other places to visit, ratings, and tourist information, go to the Jaipur trip planner . Getting from Sawai Madhopur to Jaipur by train takes about 2.5 hours. Other options: drive. December in Jaipur sees daily highs of 30°C and lows of 11°C at night. Finish up your sightseeing early on the 28th (Fri) so you can travel to Udaipur. Kick off your visit on the 29th (Sat): explore the activities along Lake Pichola, then stop by Gothwal Art, then explore the galleries of City Palace of Udaipur, and finally relax and rejuvenate at some of the top local wellness centers. To find reviews, where to stay, photos, and tourist information, read our Udaipur vacation tool . You can fly from Jaipur to Udaipur in 1.5 hours. Other options are to drive; or take a bus. In December, daily temperatures in Udaipur can reach 29°C, while at night they dip to 10°C. Finish your sightseeing early on the 29th (Sat) to allow enough time to travel back home.